Throw the basketball schedule up here. At least it’ll help me forget about football. I'm so pissed right now. Give me few. And yes that includes Fulmer and Pruitt. Thanks Rob! Hopefully the B-Ball boys will be a little easier to watch than our beloved football team. I'd say anything short of making the Sweet 16 would be disappointing not only to Vol fans but the players as well. 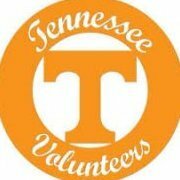 This team is as well coached & talented top to bottom as any Vol team I can remember since the days of Bernie & Ernie.